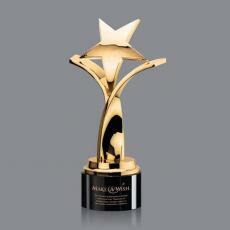 If you are searching for awards that are truly stunning and commemorate a momentous event, metal awards from Awards.com make a remarkable statement. These substantial metal plaques and metal trophies are meant to be proudly displayed in someone's home, office, or trophy case. 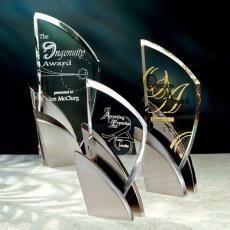 With designs that evoke some of the most significant awards ceremonies from around the world and in high-quality award metals, metal awards from Awards.com are classy, beautiful to behold, and memorable. 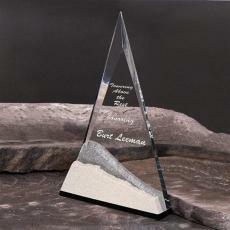 When you shop for metal awards from Awards.com, you get free engraving, logo, and proof for each award. 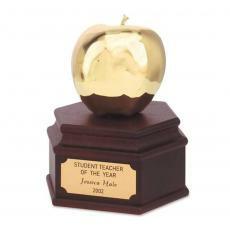 Our gold, silver, and aluminum award metals display the person's name and can include other information like the award title or organization that is presenting the award. From awards that look like standalone pieces of art, to metal plaques that display a person of extraordinary stature, whatever sentiment you want to convey, these metal awards make a brilliant impression. There is a wide variety of organizations that benefit from giving out these types of metal awards, from businesses to community associations to schools. 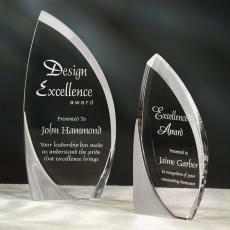 High-quality materials make these awards long-lasting and durable. 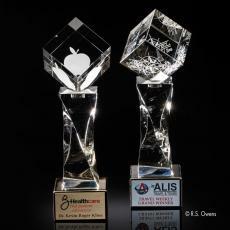 They are awards the recipients will treasure forever, and which can be shown off with gratitude. 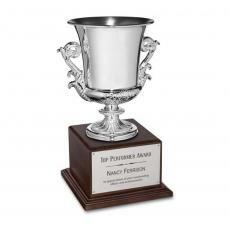 Giving metal trophies like these is a great investment for your organization, because whoever views them will associate quality with your name. 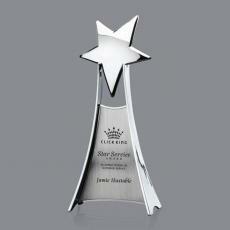 Awards.com does not just provide amazing metal awards, our dedication to customer service helps to ensure your complete satisfaction with your purchase. 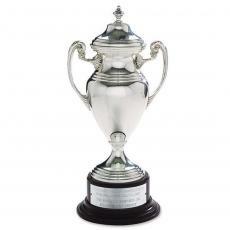 Shop metal awards here, and look forward to impressing whoever receives them. $245 - $285| Sizes: 4.5"x10", 4.5"x11" & 4.5"x8.5"
$295 - $385| Sizes: 3.75"x10", 4.5"x12" & 5"x14"
$135 - $150| Sizes: 6"x10.5" & 6"x12"
$195 - $315| Sizes: 10" & 15"
$135 - $245| Sizes: 11", 7" & 9"
$765 - $1,785| Sizes: 11.5", 14.25" & 17.75"
$175 - $275| Sizes: 10.5", 12.5" & 15.5"
$155 - $275| Sizes: 3"x9.5" & 4"x14.5"
$185 - $205| Sizes: 4"x8" & 5"x10"
$2,250 - $5,465| Sizes: 18", 22" & 34"